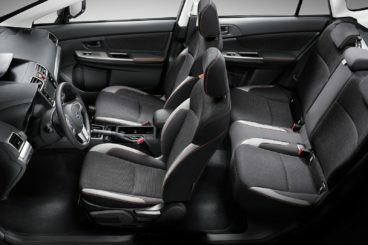 The new Subaru XV Hatchback is one for the family who appreciates good build quality, safety-enhancing four-wheel-drive, dependability, and an enjoyable driving experience. It’s practical – but there are no diesel options. It’s a car that looks handsome, too, with Subaru polishing up its aesthetics in a bid to appeal to more than just the usual Subaru fan-base. It’s wider, not as top heavy before, and boasts more interior space than last time around. OSV takes a closer look at what it’s all about with our 2017 Subaru XV Hatchback review. The new Subaru is relaxing and enjoyable to drive, but it lacks the fun factor and might not have enough punch for some. The fact that it has no diesel engines contributes to this lack of pulling power. However, its excellent four-wheel-drive system is a massive plus, as its agility. It also sports sturdier underpinnings than its predecessor, which makes it a little bit more dynamic. It’s still not a born entertainer, but it’s from far from the blandest driving experience you’ll ever have. Moreover, it copes well in wetter conditions, thanks to its four-wheel-drive, and the addition of an X-MODE system. This controls the brakes and the engine to enhance slippage or traction, no matter where you are. In terms of the engines, a 2.0-litre petrol engine will be the most popular. It’s loosely termed a “boxer” engine because the pistons look like a boxer hitting a punching bag when they’re moving. It’s an unusual design, but it means the engine is set further down in the car, which in turns improves its centre of gravity. Without a turbocharger, however, power is limited to 154bhp. It takes 10.0 seconds flat to complete the 0-62 dash, and needs to be worked hard to get the best out of it. It’s paired up with a Lineartronic CVT auto transmission that – in OSV’s opinion – is unbeatable. It comes without actual gears, but Subaru has added several virtual ones so that traditionalists don’t lose out. A 1.6-litre petrol engine has been in the works for a while, but is still to arrive. Subaru is hardly a flashy brand, but a bit more quality inside their models wouldn’t go amiss. As usual, however, the XV does without any kind of showmanship inside. So while the exterior is a lot more handsome than last time, the cabin is the same – practical and functional, but boring to look at. That said, Subaru has made an attempt to improve the overall quality and ambience. The addition of a few high-gloss trims as well as extra soft-touch materials has helped to this end. Of course, the dashboard is still miles away from classier rivals, but if you’re a fan of the sensible approach and logical layouts, there is still a lot to like about the Subaru XV Hatchback’s straightforward cabin. There are modern touches too, such as the 8” infotainment screen that is now compatible with Apple CarPlay and Android Auto. Its practicality is its biggest strength. The interior is nice and roomy, visibility is good, and it’s easy to get in and out of the rear. The driver’s seat is raised high, the doors open wide, while the raised roofline means that rear seated passengers won’t be complaining about a lack of headroom. We also like how big the side windows are – they certainly let in a lot of light, while improving visibility further for the driver. Useful cubbies include reasonably sized door bins and a pair of central cup holders that are located side by side, while the glovebox is also of a good size. The boot measures 380-litres which, on paper, compares poorly to its rivals. However, you can fold the rear seats to extend it to a respectable 1,270-litres. It’s a usable boot too which is well-shaped and comes with a low loading lip. There are a pair of trim levels to choose from, with the entry-level SE model getting heated front seats, 17” alloys, climate control, an 8” infotainment system, cruise control, a reversing camera, power-folding door mirrors, front fog lamps and Bluetooth as standard. The SE Premium trim rounds things off with leather upholstery, an engine starter button, keyless entry, a sunroof, as well as sat-nav. 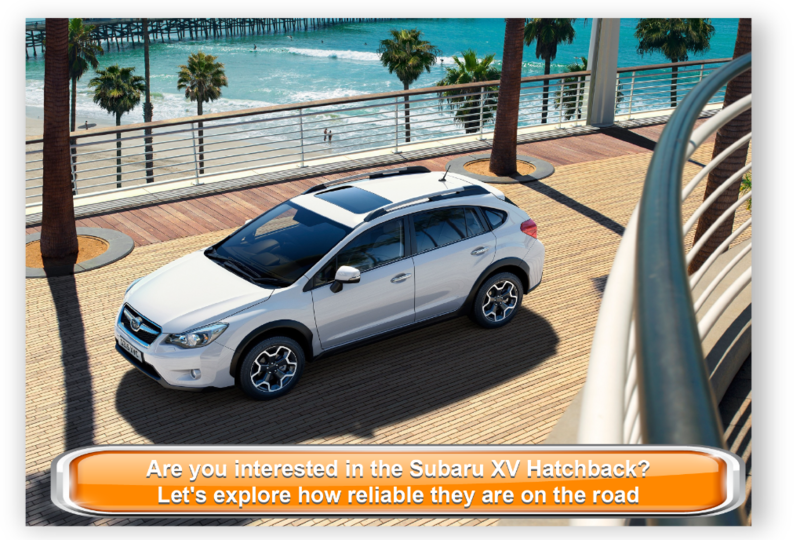 Is the Subaru XV Hatchback safe? Its structure is more robust than last time, with Subaru adding strengthened steel to its body. Although the car is yet to be put through its paces by Euro NCAP, adding the optional EyeSight package will make you feel a lot more secure. It comes with autonomous emergency braking, lane-keeping assistance, and adaptive cruise control. Prices for the new car start out from £22,495 and rise to £27,495. If you prefer to lease, you can pick up a deal from £315 + VAT per month. For more information on our leasing deals, check out our page here. In terms of its running costs, the lack of a diesel engine means the XV isn’t as cheap to run on the whole as some rivals. The best is its sole 2.0-litre petrol unit which can return 45mpg, while its emissions stand at 145g/km of CO2. Road tax will cost you £140 per year, while the car is likely to sit in insurance groups 17 to 22, depending on the trim you choose. It’s agile, and feels at home in the city and on the motorway. 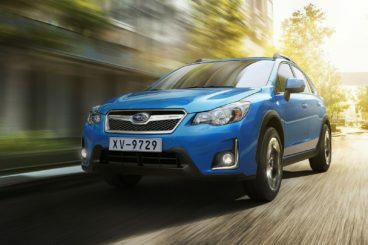 The Subaru certainly looks the part, with its rugged SUV looks giving it a lot of road presence. There is just as much space in the rear as there is in the front. The car struggles to retain comfort on poorer surfaces, and you and your passengers will feel it when you hit a pothole. Some of the plastics inside the cabin are of a poor quality, and compare unfavourably to rivals. Let’s see how the car fares against its rivals in the comparison section of our 2017 Subaru XV Hatchback review. The new BMW X1 is practical, fun to drive and reasonably cheap to run. It’s BMW’s smallest car of its type and isn’t much bigger than a Ford Focus. On the road, all BMW X1 models handle well, and benefit from a brand new platform. This platform is shared with the twinkle-toed MINI Hatchback, so it has one obvious advantage – it makes the X1 enjoyable to drive. Accurate steering and minimum body roll are the name of the game here, while all models come with a capable 6-speed manual ‘box as standard. In terms of the engines, a 1.5-litre petrol has been borrowed from the MINI. It’s strictly two-wheel-drive, does 0-62 in 9.6 seconds, and gets three cylinders. A 2.0-litre xDrive 20i petrol engine is more expensive, but gets four-wheel-drive, delivers as much as 189bp, and does 0-62 in 7.4 seconds. It isn’t much use if you’re a high-mileage driver, though. The biggest model is by far the xDrive25d diesel power plant. It develops 228bhp, comes with four-wheel-drive as standard, makes a lot of noise, and can get you from rest to 62mph in 6.6 seconds. However, it seems like a faintly ridiculous engine for such a car. The xDrive20d diesel unit is more sensible – it develops 188bhp, does 0-62 in 7.6 seconds and returns 58.9mpg. 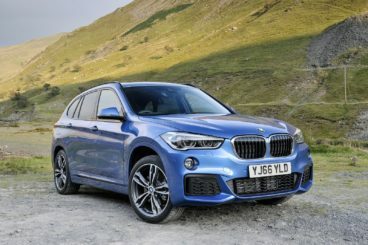 The petrols are naturally more expensive to run, with the two-wheel-drive version of the xDrive20i returning 48.2mpg at best, and the four-wheel-variant just scraping 44mpg economy. Inside, the BMW X1 is typically BMW. In other words, quality is high, the layout is slick and logical, and visibility is good. Ride quality is also impressive, though we would add the optional adaptive dampers if your budget allows. The dashboard is driver-focused, with the controls and dials angled towards you. The materials used are impeccable, and all models come with a 6” infotainment screen and the brand’s widely praised iDrive system. In terms of how practical it is, the BMW is spacious and its boot is reasonably sized. Leg and headroom are not far from exceptional, while each door bin (there are four) can hold one-litre water bottles. The glovebox is a good size, sliding rear seats are optional, and three adults can sit in comfort. The boot, meanwhile, is 85-litres bigger than last time, and now measures 505-litres. Fold the rear seats and you can extend it to 1,550-litres. The new Audi Q3 is a refined, classy contender that’s expensive but incredibly plush. On the road, there isn’t much fun to be had. Instead, the Q3 is more of an elegant cruiser that handles predictably and always feels comfortable. That’s not a bad thing, of course, and the car feels safe and is easy to live with. The engine range is full of choice. Whichever one you go for, all are capable. The 1.0-litre TFSI petrol unit will be familiar with VW Golf driver’s; it’s the smallest engine in Audi’s range, but suits the car’s character so well, delivering 114bhp and getting you from a standstill to 62mph in just under 10.0 seconds. The 1.5-litre TFSI is nice to drive, has more power, and does 0-62 in just 8.2 seconds. It’s perfect if you want to race through traffic and get home quickly. A rather hefty 2.0-litre TFSI 187bhp petrol engine seems unnecessary for a car of this type, but there will be some buyers who are tempted by its 0-62 time of 6.8 seconds. The diesels, however, are more sensible and more popular. The strong 1.6-litre TDI develops 114bhp, has a good amount of pulling power, and can complete the 0-62 dash in around 9.8 seconds. If you need more pace, a 2.0-litre TDI develops 148bhp and does 0-62 in 8.6 seconds. It’s economical too, and returns 67.3mpg economy, which isn’t a million miles off the 1.6-litre diesel’s claimed return of 70.6mpg. The petrol engines are super frugal too, with the small 1.0-litre TFSI unit returning 63mpg, and the bigger 1.5-litre TFSI averaging 56.5mpg. The Audi Q3’s interior is not only better than the Subaru’s – it’s perhaps the best in this class. All the controls look great and feel sturdy and pleasant to the touch, from the rotating and swivelling air vents, to the heater controls that are surrounded by blue and red lights. The seats are comfortable enough to make longer journeys bearable, and standard kit includes a 7” infotainment touchscreen that’s hidden away when you’re not using it, cruise control, air conditioning and electric front windows. 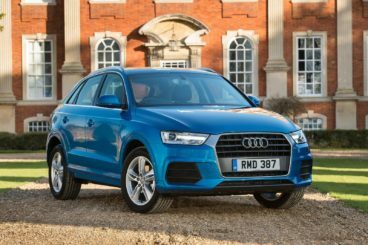 Is the Audi Q3 practical? It’s not quite as practical as the Subaru, but four adults can sit in a fair amount of comfort. Rear legroom is a tad compromised, but the compact dimensions of the car at least make it easy to park. That said, it’s a shame that a self-parking system and a reversing camera aren’t standard on all models. The slick roofline looks great on the outside, but does restrict rear headroom, while accessing the back seats in the three-door model is tricky. The boot, meanwhile, measures 365-litres, which is just shy of the Subaru. Fold the rear seats and you can extend it to 1,100-litres. The new car is a rugged, practical family car that, thanks to an excellent four-wheel-drive system, is useful in all conditions. It might not be the prettiest inside, but if you need something that’s willing to muck in when the going gets tough, it ticks a lot of boxes. It’s got price on its side too, as well as a solid engine and a spacious interior. The new Subaru XV Hatchback is up against some quality rivals, but it’s well worth a test drive.